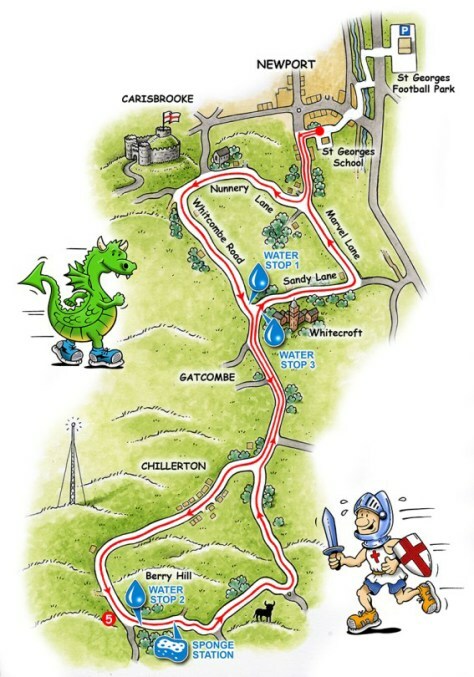 Our 10-mile road race takes place along a scenic route where you can soak up the hills & stunning views of the countryside to the south west of the Islands capital town of Newport including an Area of Outstanding Natural Beauty and views of Carisbrooke Castle. There will be cash prizes for 1st Male and 1st Female across the line. Prizes for 2nd & 3rd Male & Female, winners of respective VET categories and Male and Female Teams (UKA/EA Affiliated Clubs Only). Cash prizes also available for beating the existing Male and Female course records as respectively set by Paul Cameron (58:54) and Kathryn Bailey (1:07:33). All finishers will be presented with a Medal. It is a scenic 10 mile route which takes in the hills & countryside to the south west of the Island’s capital town of Newport. There will be water stations at 2.3 miles, 5 miles and 8.2 miles, and at the finish. Car parking available at Shide Trees, Newport £1.00 per car - proceeds to charity. How was St George’s 10 Mile Road Race?